19 Reed Ave Weymouth, MA. 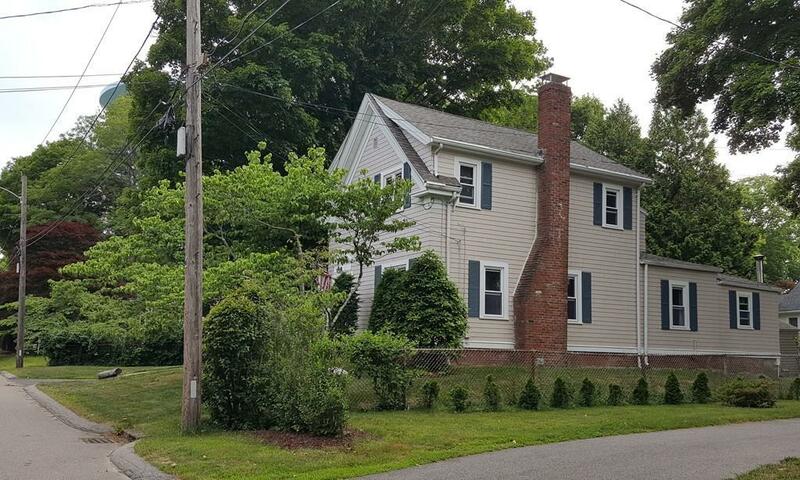 | MLS# 72350568 | Weymouth, MA Real Estate - Germaine Realty Group, Inc.
8 room, 3 bedroom, 1 1/2 bath New England Colonial on a side street location in sought after South Weymouth only minutes to Columbia Square. Come and enjoy the charm of yesteryear with the many updates the present owners have done during their 30 plus years of ownership. Roof is only four years old with many updates to the home in the past ten years with the high efficiency Bolderus heating system and vinyl replacement windows, The exterior has been recently freshly painted. Formal living room with cozy fireplace leading to the formal dining room for the large holiday get togethers. Entertainment sized family room with cathedral ceilings and a glistening wood stove set on a brick hearth. Access to the rear deck overlooking the large yard from the family room. Eat in kitchen with ceramic tile floor. Laundry on the first floor. Large shed (garage) in backyard. Second level has three bedrooms with carpeting and a full bath. Close to shopping, restaurants, and all of the area amenities.